Hello crafty friends!! It is Wednesday! 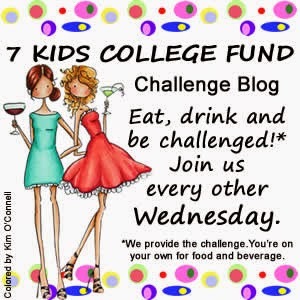 ANYTHING GOES CHALLENGE at 7KIDS! 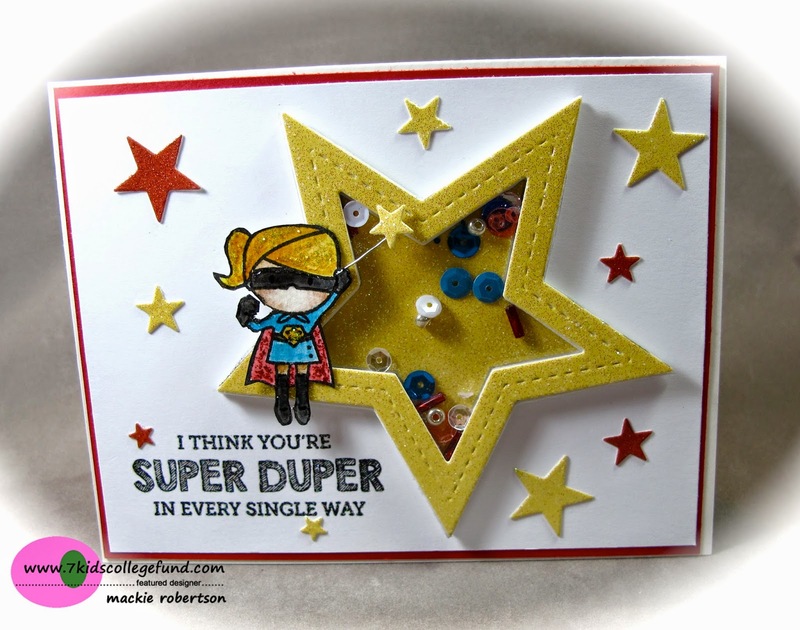 I want to share a fun shaker card that I made with the incredibly cute Tiny Heroes (MamaElephant) stamp set. I colored this cute little super girl with Ranger Distress Markers. I added some Glossy Accents to her mask, boots and gloves. And some red and yellow Stickles to her cape and hair. I took some jewelry wire and made her a little wand to hold! Oh, what a fun shaker card! A sweet little super hero and lots of wonderful stars...too CUTE!!! Too cute and too fun! Love all the stars Mackie and the shaker element!! Pure cuteness Mackie! Lovin' the fun shaker!